Ok, here's the deal. This book was so incredible, that I did not want to read any more fiction for a while. 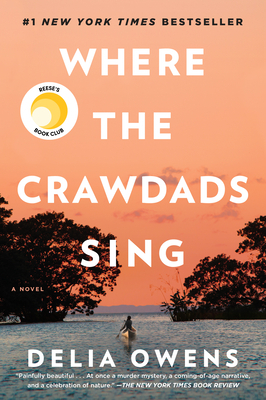 I was sure to be disappointed by a merely good read, after having loved Where The Crawdads Sing. And oh, how I loved this book. .Here is a life and location that is incredibly foreign. Yet I was literally wearing the skin of Kya within the first few pages. I felt the marsh beneath my feet, smelled the grease crackling on the old stove, soared with the screeching night herons and was crushed beneath the icy glares of the towns people. I fell in love and was spurned and burned. And reborn. Don't let anyone tell you this is a murder mystery. This story is bigger than the sky and more intimate than a sigh. — From What is Robin Templin reading?